If Japanese Beauty isn’t already on your radar, a miracle water may be just what you need to get acquainted. 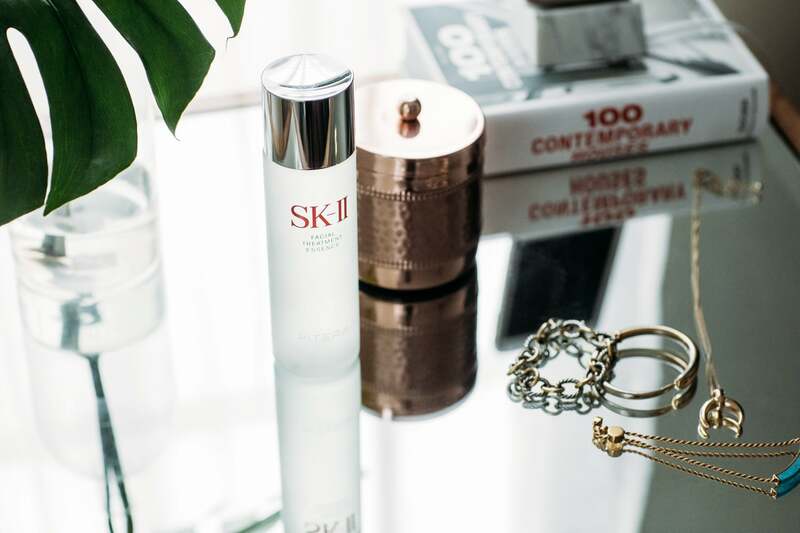 We’ve partnered with SK-II to show you just how powerful its iconic Facial Treatment Essence is. In the grand scheme of things, my skin journey has been uneventful at best. My teenage years included a less-than-average amount of breakouts. Curbing my complexion’s natural shine was the general extent of my worries. Then I hit 20, and my days of smooth sailing were replaced with much rougher waters. 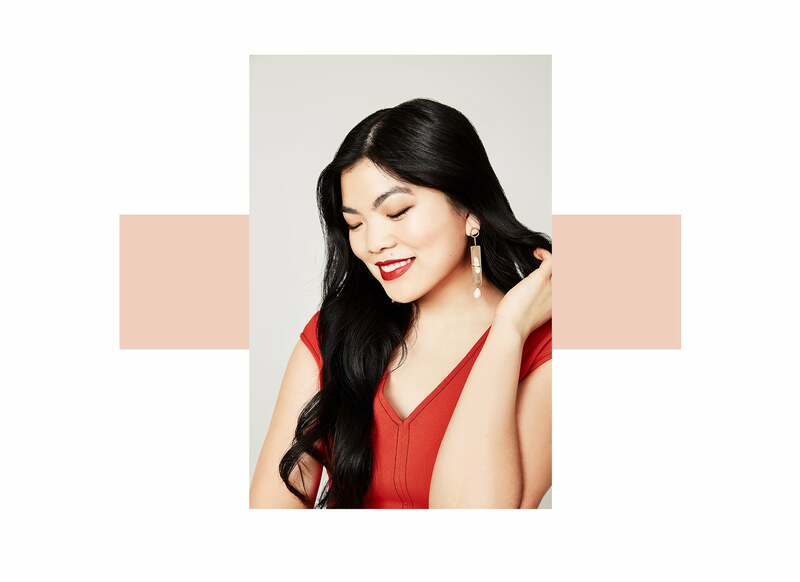 Call it active hormones or the result of a drastic diet change (or both), my skin was different — and it hasn’t been the same since. 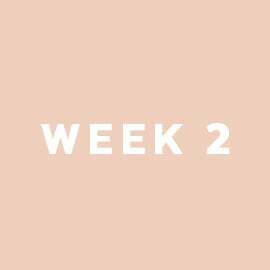 I’ve been patiently riding it out, experimenting with and fine-tuning my skincare routine along the way. But now it’s time to crack down. 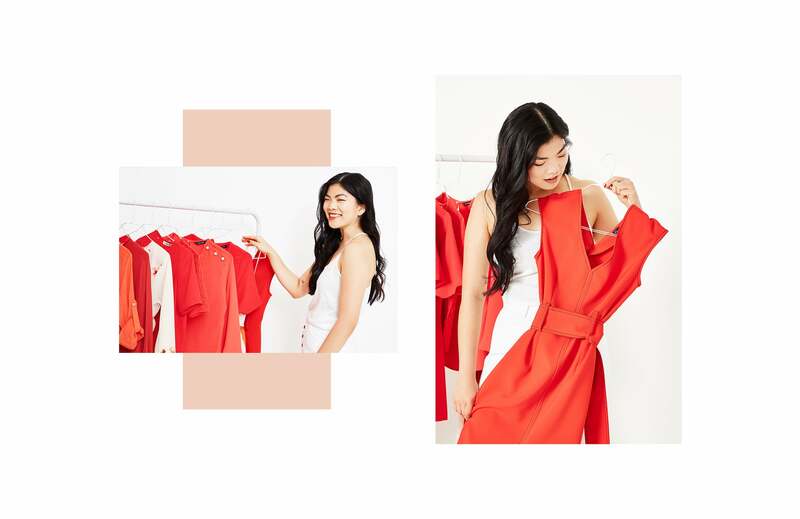 As my 23rd birthday nears and I pass my one-year anniversary at POPSUGAR, my job description is beginning to include exciting new opportunities in front of the camera. No more playing around; I've gotta whip my complexion back into camera-ready shape. Understanding my struggle, my boss (a long-time beauty editor with a very enviable skincare stash) came to my rescue. 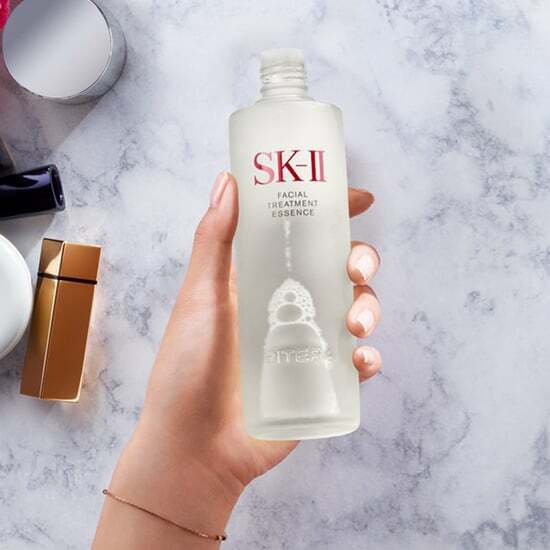 And by that I mean she bestowed upon me one of the most coveted skincare products in the game: SK-II Facial Treatment Essence. Backed by Japan’s holistic approach to beauty — one that’s rooted in tradition and propelled by minimalistic, scientifically proven ingredients — this “miracle water” is notorious for transforming skin. (You can thank PITERATM, the fermented, vitamin- and mineral-rich, and clear proprietary ingredient that comprises 90 percent of the formula, for that!) 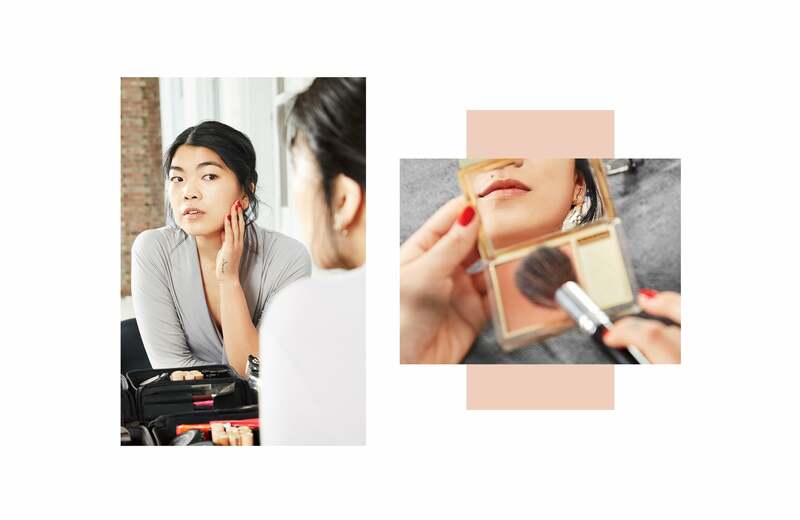 So with the (very luxe) glass bottle in hand, I set out on a month-long journey to restore my skin and discover why this J-Beauty product consistently receives such high praise. 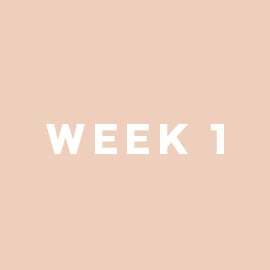 Read on as I share my progress through weekly check-ins and reveal the final results. Little did I know, I was only one bottle away from crystal clear skin. The transition between seasons can be notoriously tough on anyone's skin, but this year, New York's inconsistent weather was extra unforgiving. Naturally, my face responded in protest; today I'm dealing with texture in the form of flaky dryness on my normally oily T-zone. Better yet, I've got a series of healing dark spots — all casualties from previous breakouts — and am looking dull overall. After my go-to toner, I begin applying the Facial Treatment Essence on freshly cleansed skin morning and night. 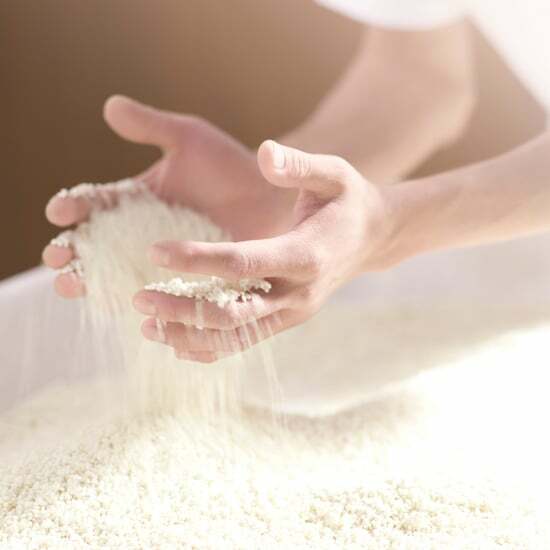 Following the specific usage directions, I forgo cotton rounds, distribute the essence directly into my palms, and pat it on my face and neck, starting at the center and working outward. My skin feels immediately softer, but it's too soon to see any major changes. As I kick off week two, I'm beginning to feel better about the state of my skin. On top of softness, my dull complexion has already started to look more radiant. The texture feels smoother, too! Mid-way through the week, the threat of a third "Nor'easter" snow storm (um, is this really necessary?!) sends the entire city into a frenzy. But while everyone's worrying about their commute, I'm more fixated on how my skin will react. All Winter, it's been one step forward, two steps back, so I'm intrigued to see if and how the Facial Treatment Essence will come into play. The storm comes and goes, and I continue to follow my new skincare routine as normal. To my surprise, my skin doesn't freak out. Impressive! Now I'm seeing some seriously notable progress. My skin looks clear, radiant, and much more like it did during my teenage years. One of my absolute worst vices is popping and picking at pimples, which leads to unsightly dark spots that take months to disappear. But now, even some of the newer ones are already on the mend. In perfect timing, I have an Instagram Story to film for @popsugarbeauty and am able to feel confident in front of the set lights. Then, at the end of the week, I go apartment hunting and find one that seems perfect. If you've ever looked for an apartment in New York (or know someone who has), you know how stressful this can be. And because I've always been prone to stress-induced breakouts, I'm nervous to see what happens next. Just like that, a month has passed before my eyes! Wondering about that potential week three breakout? Stress knows no bounds, so it did appear, but it was minimal and easy to get under control in just one night. By the time I had my next on-camera appearance a few days later (this very photoshoot! ), the traces of that tiny skin-mergency were all but gone. Looking back on the last four weeks, I'm pretty shocked to see how quickly the appearance of my complexion improved. As promised, the Facial Treatment Essence evened my tone, boosted radiance, smoothed, and firmed my skin. (It also claims to reduce wrinkles, but at 22, I don't think I can quite speak to that effectively . . . but I'm all for preventative care!) Yes, the weather is still wildly indecisive, but my skin has made up its mind — and it's ready to glow.